Inspired by your comments after Bryon’s “Your Ultra-Training Bag of Tricks” summary post last month, I thought I’d take this opportunity to touch upon some of your questions. Your best days on the race course will be those in which you remain in control. This begins not on race day but during the months leading up to your event. The preparation put into race-specific training, gear testing, and studying the course will be just as important as following your game plan on race day. Let’s discuss some of the typical errors that can contribute to a poor performance and how others successfully manage them. Karl’s conservative race strategy is relevant to runners of all abilities. Being patient, staying in control, and running your own race are the key components to a successful race. How many of us have tried something new on race day? A new pair of shoes or a new food? It’s an irresistible urge. We all know better. Don’t do it. However, even Meltzer isn’t immune. Use your training runs to perfect your race-day attire, equipment, and nutrition so that you know exactly what you are wearing, carrying, and eating and drinking come race day. If you struggle with this all-important element, consider talking to a nutritionist who is familiar with endurance sports. Unlike Meghan and Karl, Charles West, who has finished three 100-mile races (Umstead, Graveyard, and Grindstone), uses elaborate pace and elevation charts and written crew and pacer instructions for his events no matter the distance and number of times he has run the event. Race days seldom play out without some sort of glitch. Rough patches are inevitable by virtue of the length of time we are exposed to the elements, but it’s how effectively we handle these episodes that will keep us moving forward and away from any dreary downward spirals. Will almost quit near the halfway point, but he used a few tricks to keep himself moving forward. Taking control of your race begins well before the gun goes off. Runners who have done their homework, prepared mentally and physically, and stick to their game plan will have the best chance at succeeding on race day. The chances are good that, if you’ve run an ultra, you’ve made a mistake. What have been some crucial lessons you’ve learned out there? What among Ian’s recommendations for before and during races do you find come easy for you and what skills do you need to better develop? This is super useful information! So much stuff to learn! (absorbing now) Thank you! I have officially book marked this page for future reference. This will come in handy this summer. Thanks for the great article. Solid advice, thanks, as always, Ian! Yeah Ian, great article. I book marked this page for future reference also. Solid advice and super useful. Great, comprehensive resource on training and racing – good timing for "early season", to boot! Thanks Ian, great piece of information. Last September I ran my first ultra(Mt. Taylor 50k) and I wish I had utilized much of this info for that race, but there's always next time right. My first year running the Silver Rush 50M in Leadville I learned that elevation adds to the stress on your stomach and that I could not eat what I did on my training runs. Fortunately I had studied enough that I recognized what was happening and adjusted at the halfway point. Heat + elevation = poor digestion. 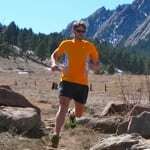 Making my 'debut' at the 100-mile distance at the inaugural 'Bryce 100-Mile' this May, and found this piece to be very helpful and will be referring to it (and to Karl's tips within) during my training buildup and race day. Go get 'em Bob. Glad to hear you're moving up to the ultra-distance. Looks like there is a solid contingent going down from Idaho. I'm sure you'll be steady to the end and among the leaders, as always. Thanks for the encouraging words Jeremy.